One of the best shows of the Magic Tour (1986), in Ex quality; this is the best version around. 100% complete. A truly superb recording. Although it has better soundquality than the 'Reigns The World' bootleg, this one has a bit more tape hiss than the previous release. Having said that, this set is still far superior to the others as it not only contains the full show, it is also without any fade in/outs which were so often present on previous releases. This is the definitive version of the show, and it cannot and will not get any better than this. 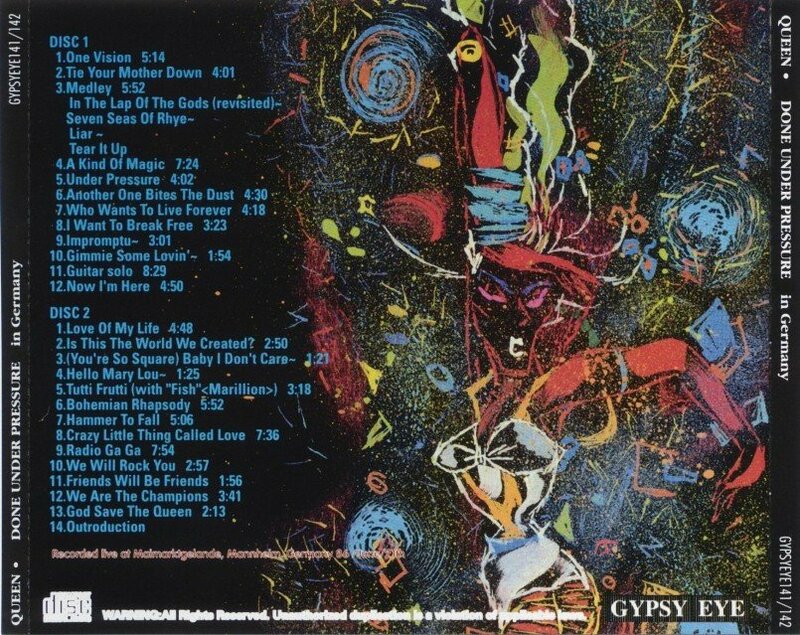 Note that the previous bootleg release with the same title (on Leopard label) has worse quality than this Gypsy Eye re-release. The lead singer of the band Marillion, Fish, joins the band to sing backing vocals on Tutti Frutti. 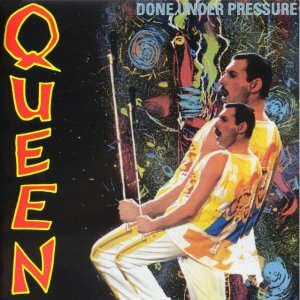 Done Under Pressure 0 out of 5 based on 0 ratings. 0 user reviews.